Happy Friday, Friends! I trust that all is well at your end. 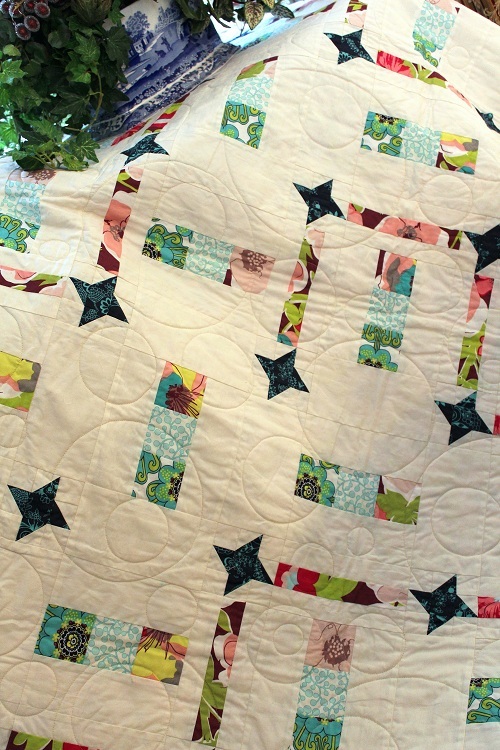 I shall end this week by sharing with you another magazine featured quilt, “Garden Maze.” You have already seen “In & Out.” Garden Maze is my other quilt featured in Quilter’s World‘s Spring 2013 Special Interest Publication issue “Quilt & Easy Quilts”. This design tends toward the contemporary look with the extensive use of white in the midst of traditional blocks. 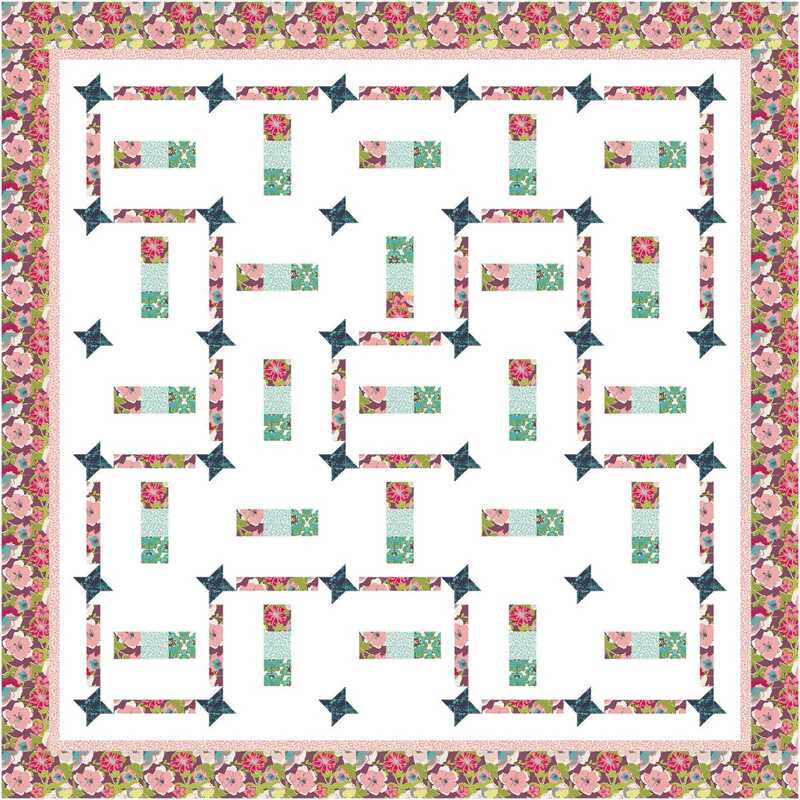 The fabrics used in Garden Maze are from Pat Bravo’s Modernology collection, designed for Art Gallery Fabrics. 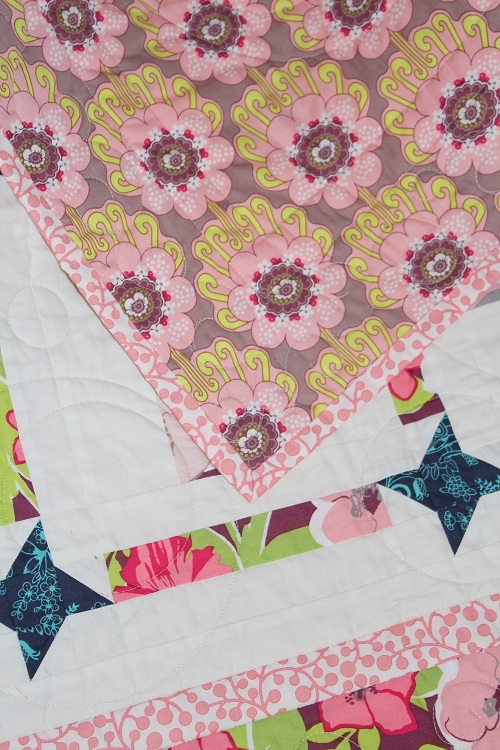 Quilting was simple and minimal to fit the minimalistic feel of the overall quilt design. I used my “Mark without Marking” method to quilt circles of different sizes all over the quilt. 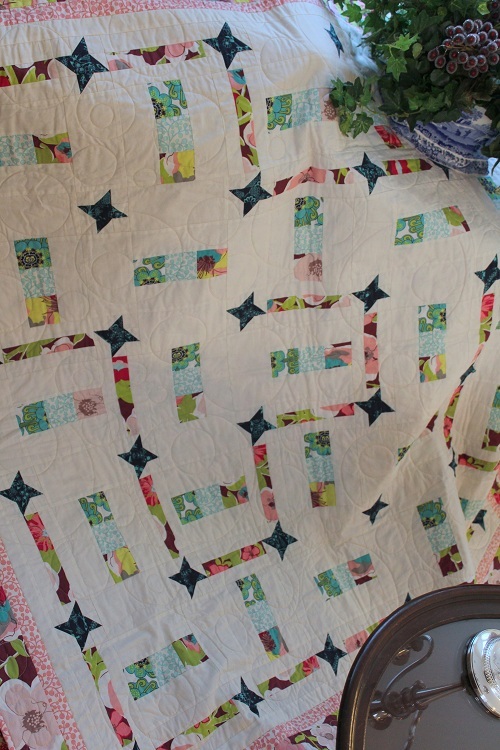 Quilting was done with Aurifil Mako 50 Cotton threads over Hobbs Tuscany Silk Batting. 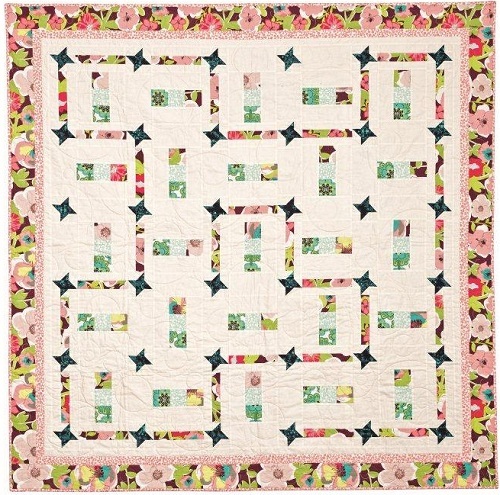 I hope you enjoyed my “Garden Maze” quilt today! Have a great weekend, Everyone! This entry was posted in Quilt Pattern, Quilting, Quilts & Projects: Published, Quilts: Pieced and tagged Art Gallery Fabrics Modernology, Quilter's World QUICK & EASY Quilts Spring 2013, Wendy Sheppard Designs. Bookmark the permalink. My favorite part of that is the border! I like traditional quilting but I like modern twists, too. 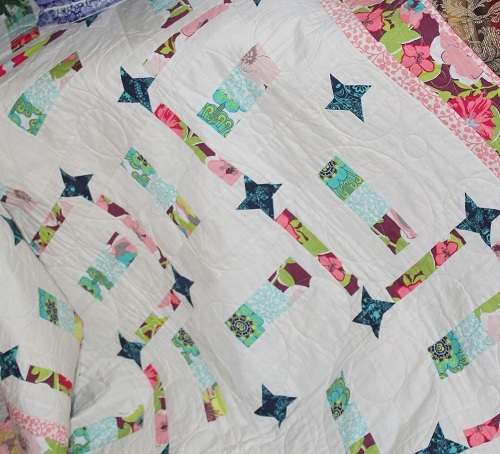 I like this quilt a lot! Beautiful quilt, so dynamic. I’m loving all that white, too. Thanks for sharing. Love them all, especially “Butterfly Kisses”, want to make “IN and Out”. I hope you like it! Thanks for letting me use it today. 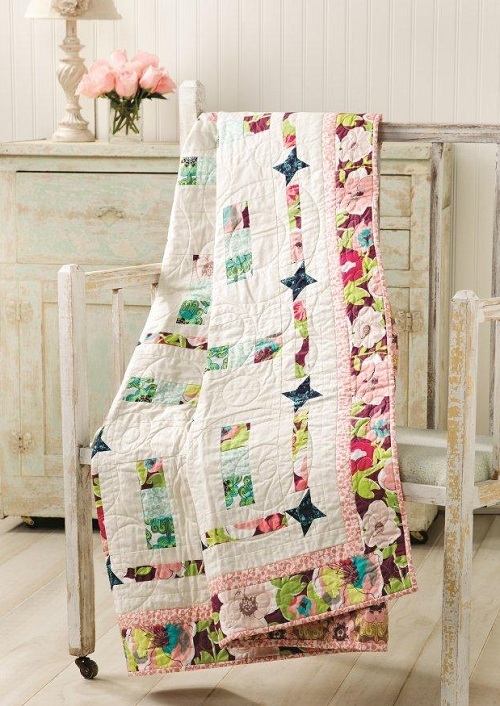 I like this “modern” quilt. It has a soft and feminine “feel” to it. I might “need” to stitch this one. Lots of negative space for fun quilting. What a beautiful quilt. I love the fabrics you chose. 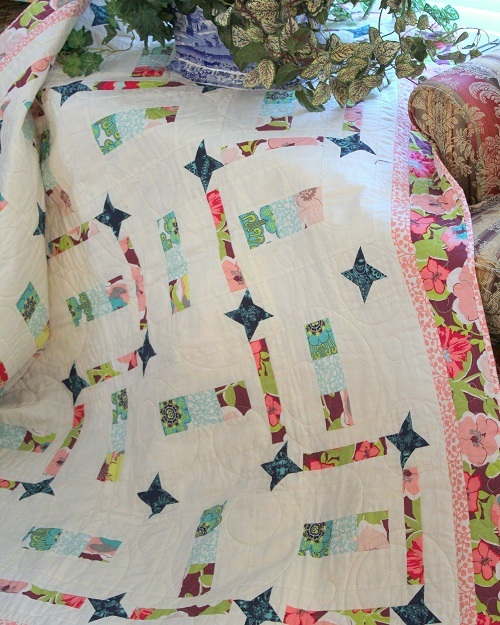 Hi Wendy, so happy that you used my fabrics for this quilt… it’s really beautiful! Reading your post, I would find appropriate to correctly inform your readers about the designer of this line. 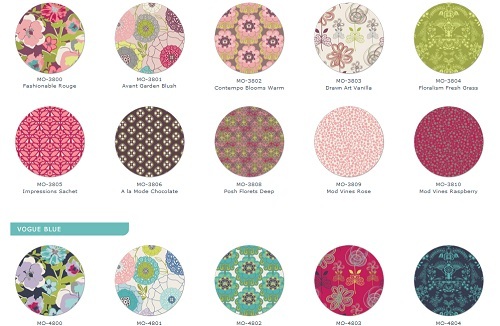 Modernology collection was designed by me for Art Gallery Fabrics. I hope you can correct that information.